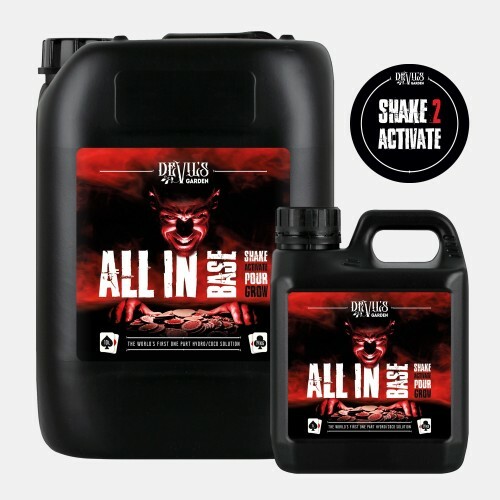 Devils Garden All In Base gives you all the benefits of traditional A & B formulations in one concentrated package. All In Base is not a suspension liquid, it is a solution! 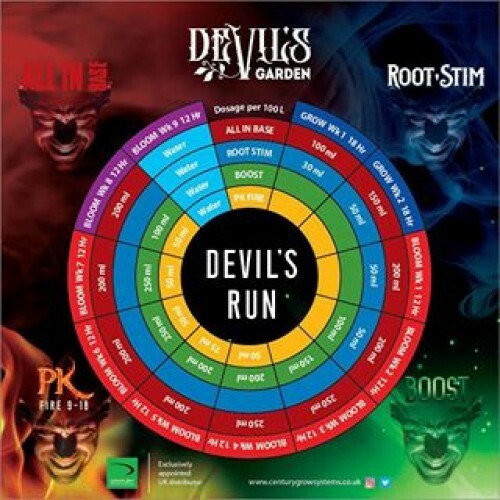 Devils Garden All In Base is pH optimised with all nutrients present in a well-balanced chelated form. The formulation contains no inferior chloride salts. Allowing gardeners to run the nutrient at a wider pH range and guaranteeing nutrient availability. Suitable for all recirculating, run to waste, passive hydroponic systems and coco medium. 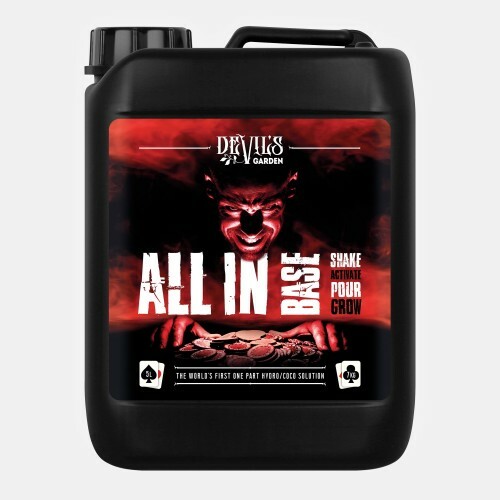 We at Devils Garden Nutrients believe that All In Base is the ideal base nutrient for all commercial cultivators. Devils Garden Root StimSpecialist treatment designed to promote the development of a large and robus..
Devils Garden Boost A triacontanol based nutrient that does not contain phytotoxic synthetic su..
Devils Garden PK Fire 9-18A highly concentrated and balanced phosphorus and potassium fertilizer&nbs..